In case you missed Friday’s post, here’s what’s going on. For the next two weeks, I’m teaming up with my best blogging pal Lee of Style Bee, and we’re hosting a remix challenge: 10 pieces of clothing, 10 outfits, 10 days. Each weekday, I’ll post my outfit of the day, share my first impressions, and then give some styling notes. Ready? Let’s jump right in! 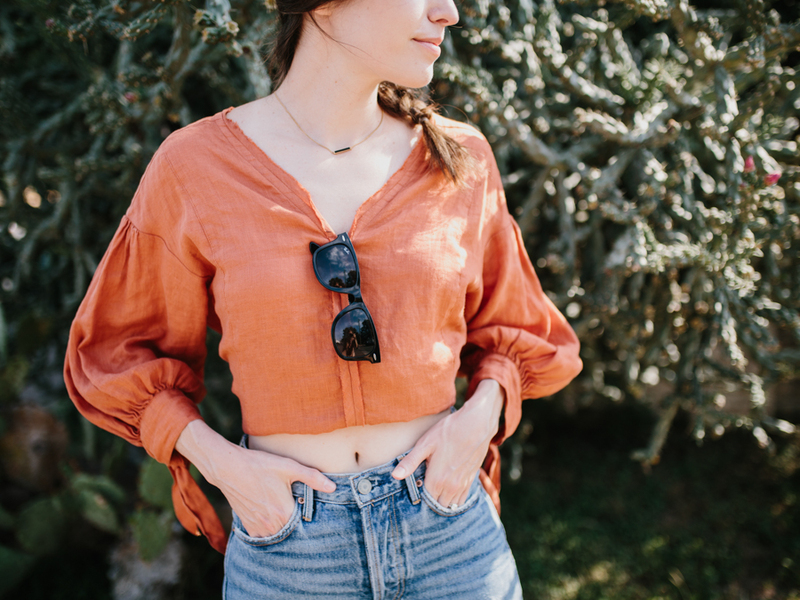 I can wear this tunic so many ways — untucked and long with skinny jeans, tucked into shorts, or even as a swimsuit cover up — but today I decided to turn it into a crop top by knotting it in the back. I love it. The billowy sleeves and cropped silhouette create the coolest contrast. Since I’ll be working on my computer + sitting for a while today, I may end up switching the knot from the back to the front, so it doesn’t bother me. We’ll see. I’ll share how it goes later today in my Instagram Stories. While it’s super hot today (high of 97 degrees), this outfit works because I’m mostly going to be inside where the AC blows strong. As far as my agenda goes, it’s a typical day for me — gym time in the morning, working from home or a coffee shop, errands, and maybe a dinner date with my hubs — so this outfit should carry me through everything after the gym. SHOWING SKIN? 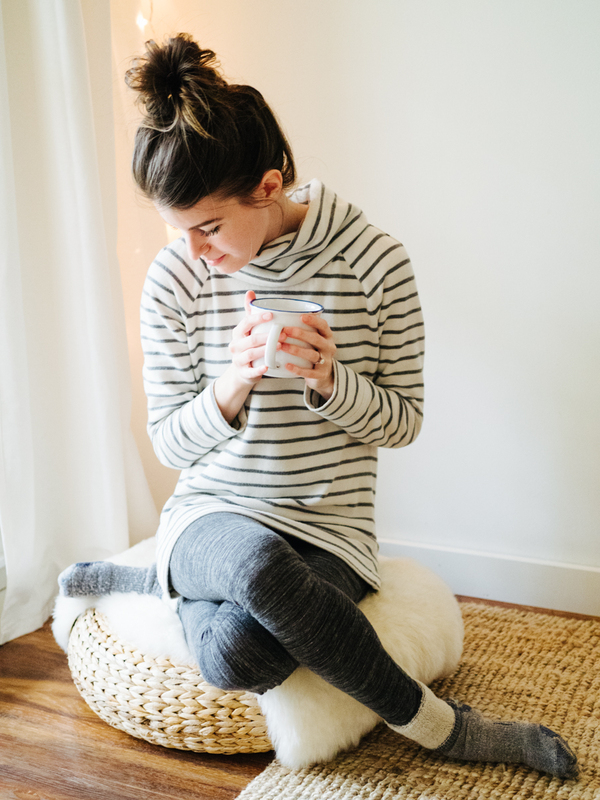 BALANCE IT OUT WITH LOOSE LAYERS | To me, it’s all about balance. Yep, there’s a belly button there, but the rest is covered up with loose clothes, creating an outfit that feels both carefree and appropriate. 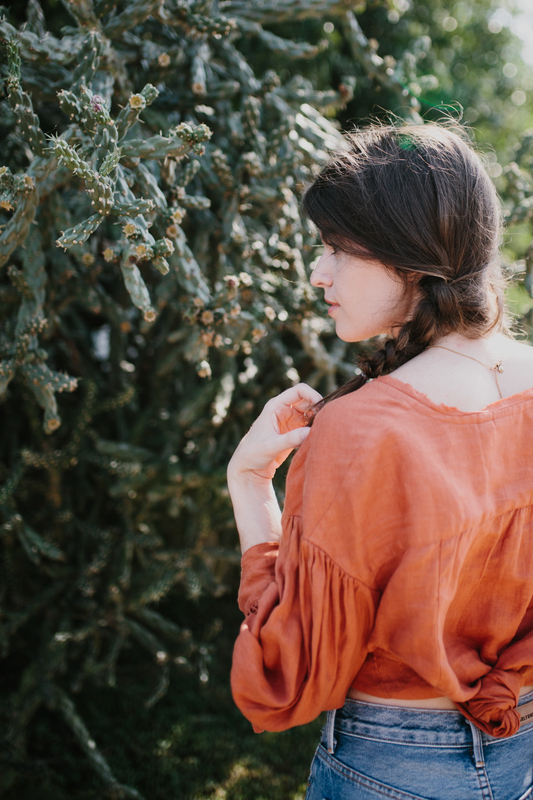 GET MORE VERSATILITY OUT OF A LONG TOP BY KNOTTING IT | This coral top is actually a long tunic, but I tied the extra length up in a knot in the back — et voila, a crop top! 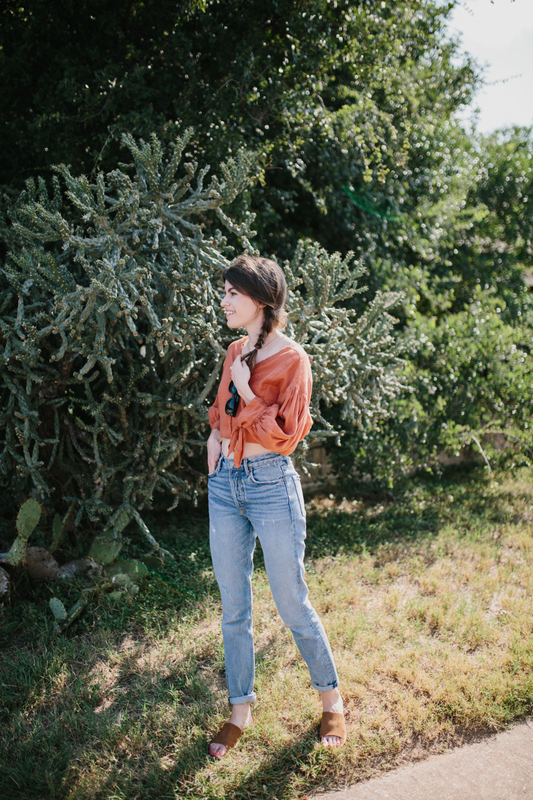 PERK UP AN OUTFIT WITH A STATEMENT COLOR | You know me — I’m usually all about the neutrals, but I’m stepping out of that comfort zone and saying yes to this bright terra cotta color! Summer just makes me want to embrace all the colors. 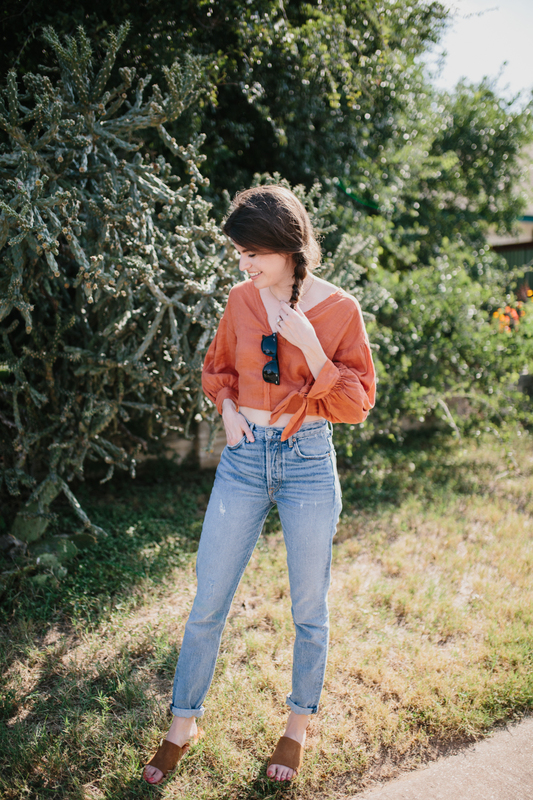 TRY THE HIGH WAIST + CROP TOP PROPORTION | This is my favorite proportion to wear, and while I usually don’t show skin, I decided to take it a step further this time and actually show a bit of skin. You can rock the proportion however you like — showing skin or not. Are you taking part in the remix? 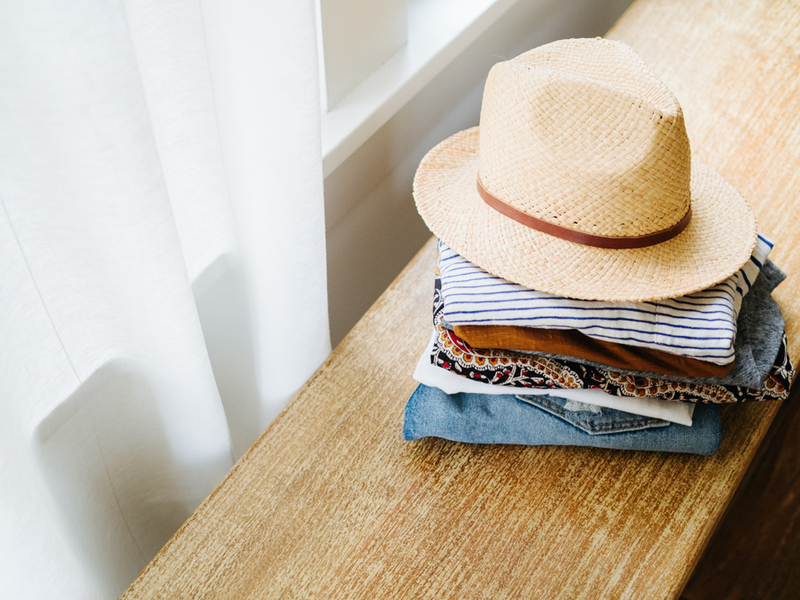 Here’s your assignment for today: Snap a photo of your first outfit and post it on IG with the tag #summer10x10 so we can all follow along. See you tomorrow for outfit two! Love the linen tunic, but it is now sold out. Like the way you knotted it. Will find one of my tunics and try knotting. Hey Mary, darn!! That sold out fast. I’ll try to find some similar items to link to. I love the proportions! I can’t pull off a crop top but greatly admire you for doing so :) Trying to grow my hair out long enough for a braid like this as well. Summer heat=braid time. I love your outfit! It looks so summery and fun! You’ve definitely nailed that boho-romantic vibe – kudos are in order! I’m also really impressed with your perfect cinnamon-bun knot on your top. Would you consider doing a tutorial? It seems like it should be so easy, but I always end up with a weird tail on my knots. Coming from MN where last week it was 90 with 90% humidity, I would die of heat stroke in jeans even inside!! Excited for 10 x 10 !! Great inspiration and good taste in clothes comes from your blog. Love it! Is some stuff from Anthro ethical? How do you tell? Hi Shea! Some of the pieces they carry are made in the USA, but I don’t think all the brands they carry are responsibly made. Have you ever damaged a fabric by knotting it like that? I had a favourite shirt that never quite rebounded back to its original shape after being knotted and am reluctant to do that to my clothes now. This outfit made me smile. 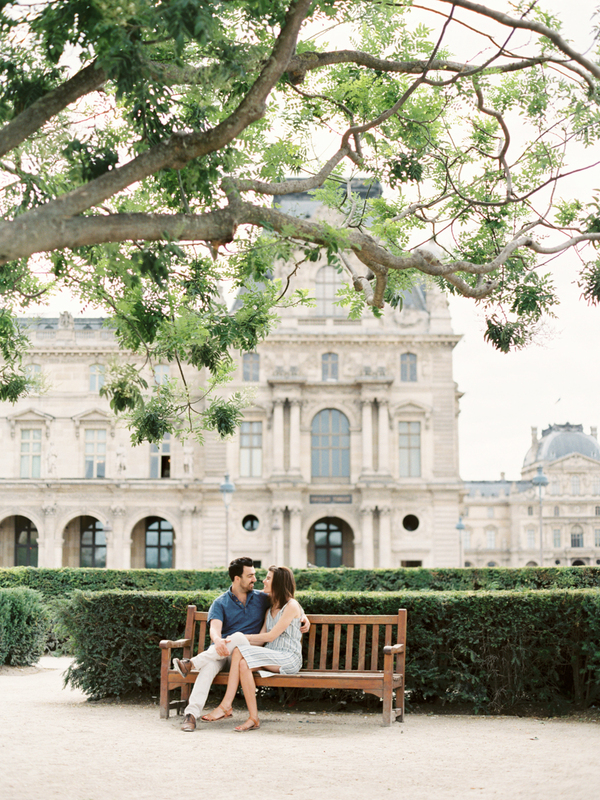 It really does capture the theme of romantic and vintage. It is great that you are trying something outside of your comfort zone. I’m in the southern hemisphere, so it is winter at the moment. I am experimenting with layer this challenge. I love these challenges. Love this look and this series – looking forward to seeing what other outfits you compile for the challenge! I love this outfit so much! Actually, I want to say thank you for finding this tunic, because after the first time you posted it, I had to go try it on. Just couldn’t get it out of my head. Those Shakespeare sleeves! And now I own it, and love it – so thanks! I’m super excited to be joining you in the 10×10 this time around! Though I won’t be including my own terra cotta tunic, that somehow felt like cheating, haha! But this is still such awesome outfit inspiration for when the challenge is over, since I already have a pair of boyfriend jeans! You rock! Beautiful tunic color! I am enjoying this challenge a lot, thank you for hosting, Caroline! 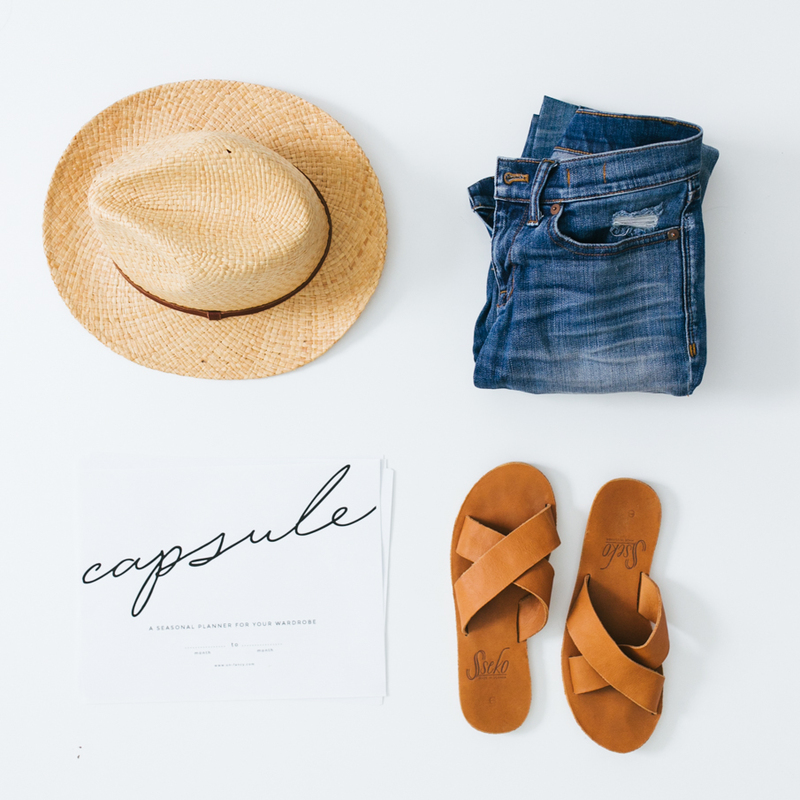 I added a bit of color to my summer capsule too, and absolutely love it! Beautiful pictures and your outfit looks gorgeous! Perfect for summer! You look great, Caroline! Love that color on you. I’m very excited to participate in this 10×10 challenge. I’ve been working through a couple of #progressivecapsule experiments (see http://sustainablefashionchat.com/discussion/15/progressive-capsule-2-and-june30x30) and have learned a lot about what I feel good wearing. It really helped me pick out my 10 pieces for this challenge. See you on Insta! So cheerful, summery and lovely. I never thought to try this with a tunic – the cropped look with the big sleeves is very romantic looking! I had so much fun during the last 10×10 and felt like I learned so much that I’m going to try it again with you and the 10×10 community. Everyone is so sweet and upbeat, it really makes for an enjoyable experiance and it’s nice to hang with such a postive group on the internet. Absolutely love this terracotta color. 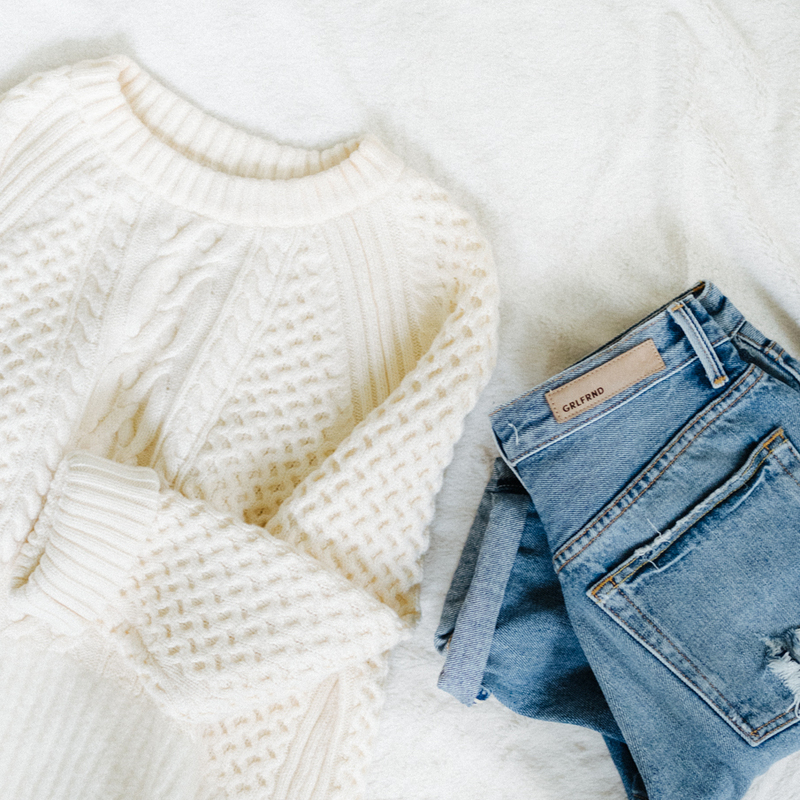 Looks gorgeous on you, so you should totally put it in the ‘comfort zone’ category. :) Can’t wait to see what else you do with it!